In line with Bénéteau’s refreshing new direction of the Océanis fleet comes the first of the 4th generation Océanis range under 40 feet. Handsome and well thought out, the Océanis 37 follows in the footsteps of her bigger sisters, with a stylish and contemporary below-decks interior by Italian design group Studio Nauta and clean dynamic external lines by Groupe Finot Conq. 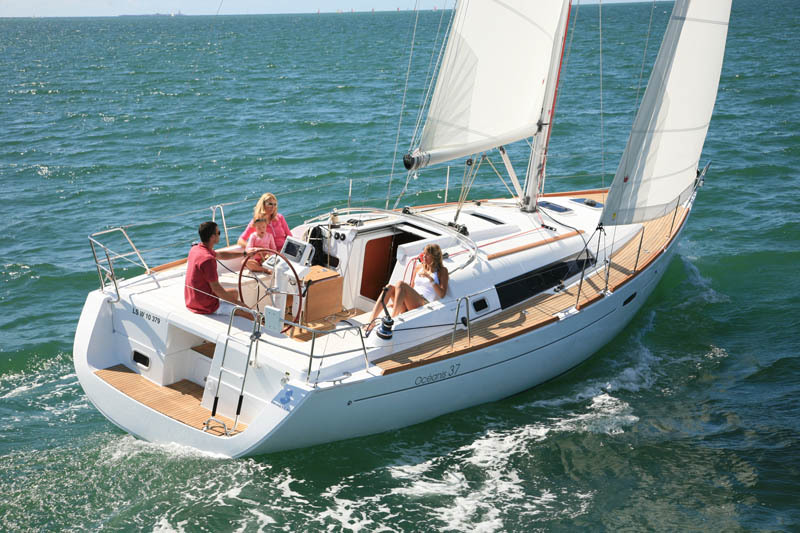 Above decks, the Océanis 37 is both beautiful and functional. Bench seating surrounds the whole cockpit with enough room to easily walk around the helm without the need of folding or pivoting. The helm station also includes a binnacle for all instrumentation and chartplotter easy at hand. Primary genoa winches are in easy reach of the helm. The sailplan is a fractional rig with 105% overlapping genoa. Mainsail traveller is on the coachroof keeping the cockpit clear and all control lines are lead back to cockpit. The 37 comes in 2 layouts, 2 cabin and 3 cabin both with single head. The saloon comprises of a pivot-mounted folding saloon table that can fold down to provide an extra berth. 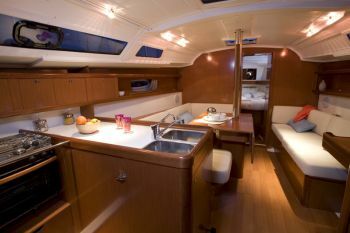 Typically Beneteau there is also exceptional stowage throughout. Original galley design – large work surface achieved by orientating the double sink fore and aft. Propulsion comes from a 30 HP diesel engine. Fuel capacity 140 Litres and a 346 Litre fresh-water capacity. The new Océanis 37 will come in two equipment levels, Standard and Exclusive version. This yacht is currently available to view at our Sydney Vicsail office.